For today’s gratitude: I am grateful for my family. I have a loving, wonderful family and many fond memories of childhood. 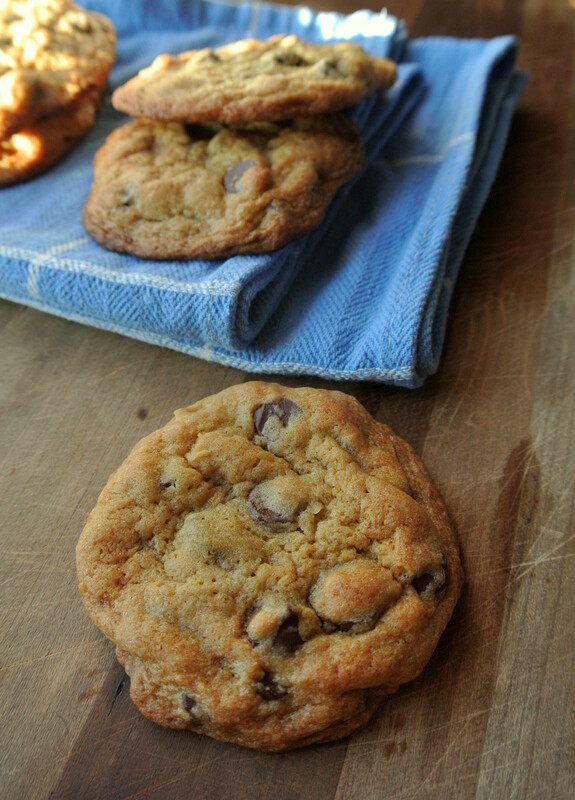 Chocolate chip cookies were one of my favourite childhood treats. I remember making cookies with my mom and my sister, and eating indecent amounts of cookie dough. My mom would disappear to the pantry, and my sister and I would grab spoonfuls of dough. My mom always knew, even when we weren’t in view, and would tell us to stay out of the cookie dough. 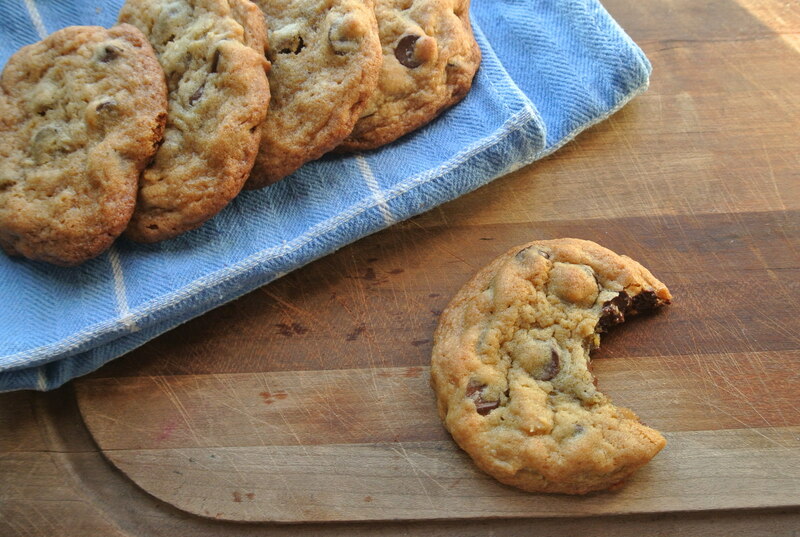 So chocolate chip cookies in honour of family and childhood. I got Alton Brown’s cookbook I’m Just Here for More Food for Christmas (thanks honey! ), and I’m slowly baking my way through it. I really like his clear, thorough explanations of how baking works. He’s divided the book by “method”, grouping a wide variety of different recipes by baking type (for example, he points out that carrot cake is in fact a muffin, not a cake). 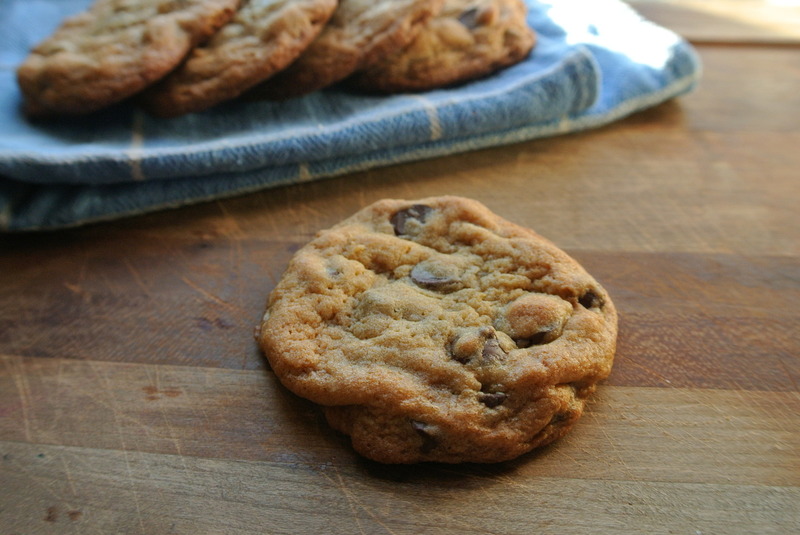 This recipe is slightly adapted from his Chocolate Chip Cookie No 10 recipe. I played around a bit with different sugars, as, after doing some reading, I’ve come to the conclusion that the type of sugar can greatly affect the texture and the softness of the cookie, and I wanted to have a crispy, chewy cookie. 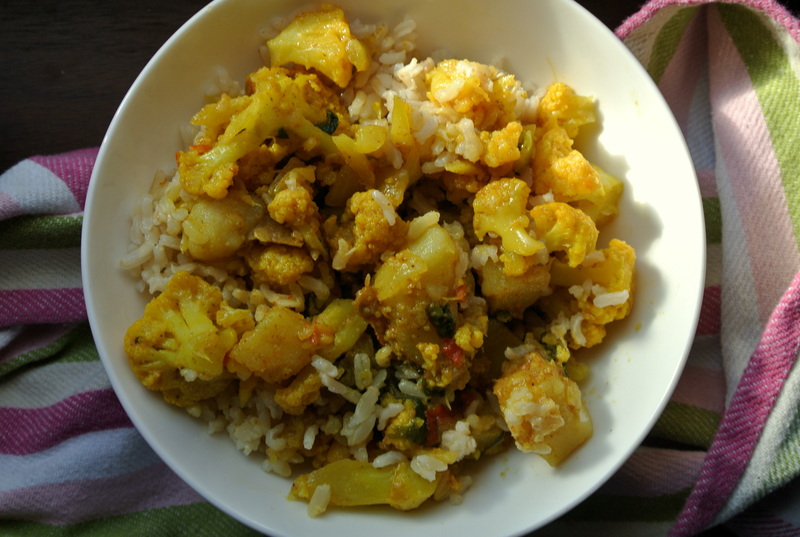 If you are interested in the way different ingredients affect the outcome, check out this fascinating post at Handle the Heat. 2. Combine flour, salt, baking soda. 3. Stir the sugars together. 4. Melt the butter, add the sugars and whisk. Stir in egg and vanilla. 5. Combine wet and dry ingredients and mix until incorporated. Stir in chocolate chips. 6. Drop by tablespoon onto cookie sheet. Bake for 15 or so minutes, until brown. I’m so grateful for my family and friends today too – they made me feel so loved this weekend!